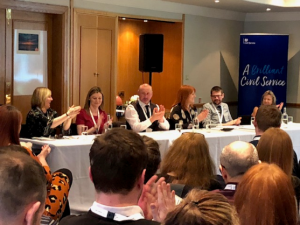 From 4 to 8 March CS Local Scotland held its first ever Leaders of The Future Academy for forty-nine aspiring future leaders across nine different departments including devolved government. Hosted in Dundee the ‘City of Discovery’ this inaugural Academy provided opportunities for delegates to explore their leadership potential away from the pressures of their day to day work. Working together to deliver business challenges over the coming year whilst building a network of colleagues and leaders, our delegates will be the next generation of effective, inspiring and confident leaders, promoting A Brilliant Civil Service in their own Departments and across the wider community. The delegates arrived excited, some of them worried, and all of them a little unsure what the week ahead would bring. Across the family groups there was plenty of healthy competition, great collaboration and always mutual support and respect. 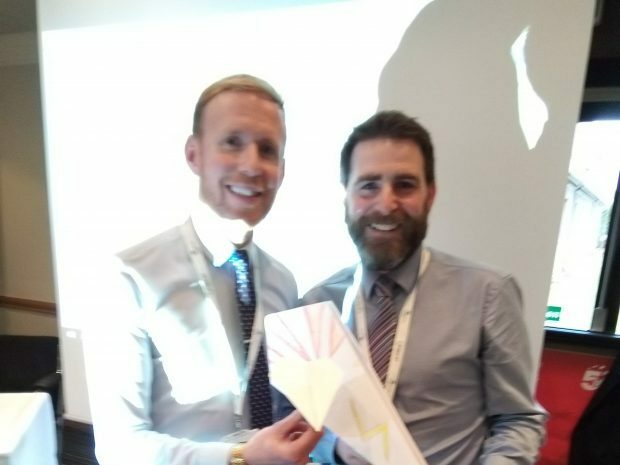 The event was delivered by Darren Kelly and Sean Mulgrew from Scottish Government, who steered the delegates through four days of speakers, activities, team builds, exploration of potential through various tools and techniques and personal refection. They set a great tone all day, every day making sure that all delegates felt involved and had the opportunity to contribute. Over the course of the week, ten excellent speakers covered subjects that focused on personal growth, understanding others, collaboration, resilience and project management. The speakers shared their own personal journeys and were inspiring, authentic and relatable, they all added something special to the academy experience. Our Steering Group SRO Rozanne Kidd, opened the event and spoke about resilience and well-being, and also brought the event to a conclusion with a final vote of thanks, to the project team, facilitators and sponsors, and all who worked tirelessly behind the scenes to make the event a resounding success. So very proud of our 49 delegates ,all our design group, sponsor, speakers, dragons, facilitators and coordinators from across Scotland. who made our first Leaders of the Future Academy a success. Good luck with your Projects and looking forward to next Year's Academy and you showcasing what you have achieved! 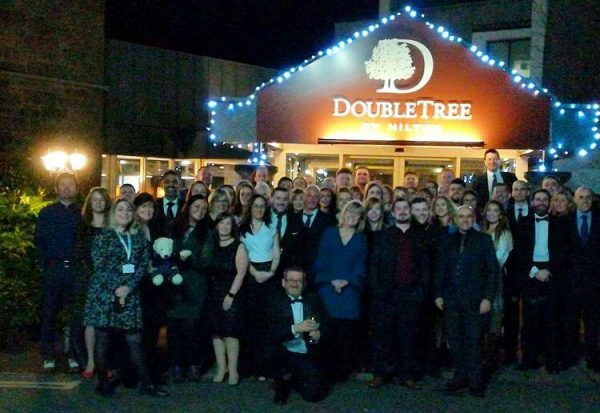 Please do look out for the communication in your own Department later in the year to request participation for 2020 and do seek out Academy 2019 delegates who can share their experiences with you. A huge amount of work has clearly gone into the organising of this event as well as the group participation throughout. Well done to you all in making this a reality and hopefully the first of many Academies! Good luck to our Future Leaders Alumni - champions in development in what is a Brilliant Civil Service ! 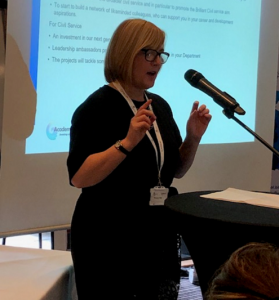 Was delighted to have played a part in this event as we build and develop our leadership capability - a fantastic team effort by Fiona Crawford and the Academy Working Group to put the event together and manage it over the week. Roll on the next one!